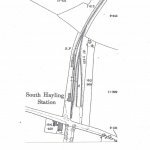 South Hayling station showing the engine shed. 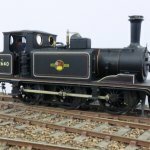 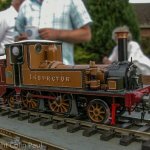 Another superb model of a locomotive that worked on the Hayling branch line in the Victorian era (1890's). 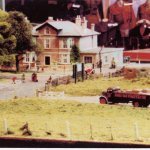 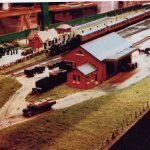 The 7mm scale model was built by Peter Korrison and Richard Barton and painted by Alan Brackenborough. 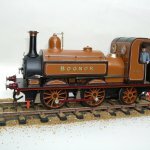 This is a model of 32646 which I started to make in 1969. 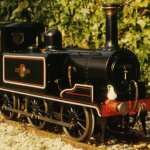 I used to visit the Hayling Billy pub to see details specific to 32646 since, in later years, all surviving terriers were different.